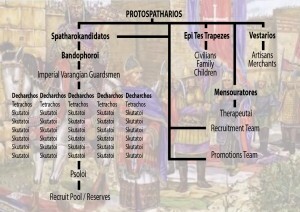 The chart below shows our group’s structure from both a military and a civilian stance. It is designed to highlight the general chain of command for communication between members when handling instructions and complaints. 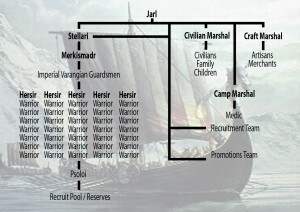 Positions that are outlined indicate a officer within Jorth Gar (either warrior or civilian). Imperial Varangian Guardsmen – Is a honor title within Jorth Gar, and represents the epitome of the Jorth Gar / Byzantine army; being those of us that actually portray Basil II’s bodyguard (on parade and in the battlefield). This is what all warriors will aspire to and will achieve after years of service and commitment to the group. Varangian Guardsmen – Is the new title for Hirdman and Gestr (who will still use those old distinctions, but will now be under that grouping). 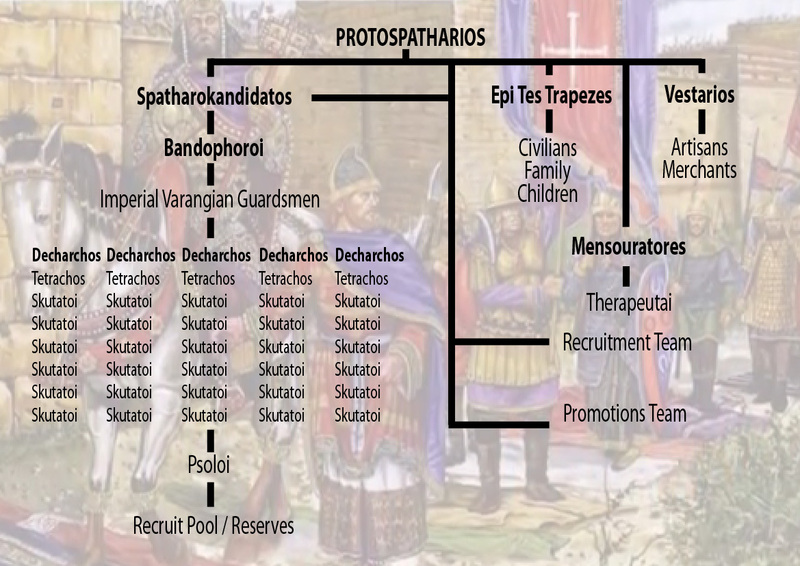 These men represent the bulk of the Varangian Guard who serve many functions within the Byzantine army and in city duties (Guard duty, tax collection, etc.). 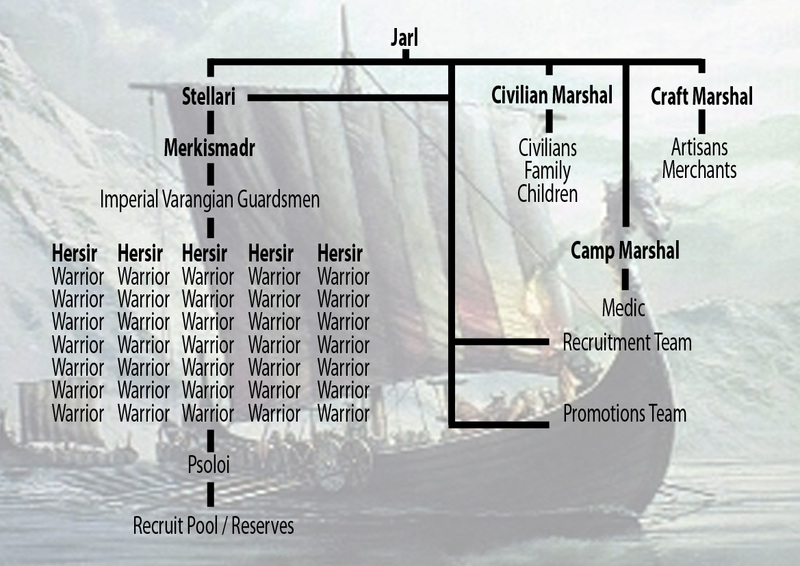 Recruits – Members wishing to become warriors, who have not yet attained accreditation or a battle Aett to call home. When you join, you choose the path you want to take: Warrior or Civilian. You can change your path at any time. Hello I am possibly interested in joining But I hate shield walls and spear with a passion! where does that leave me?